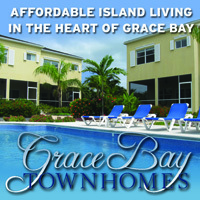 It’s hassle-free to get to the Turks and Caicos Islands. Many major airlines offer regular flights on a daily basis. International service is to Providenciales International Airport (PLS). Flying time from Miami (MIA) to Providenciales via jet is approximately one hour and 20 minutes. International airlines which have scheduled service to the Turks & Caicos Islands: Air Canada, American Airlines, British Airways, Delta, Jet Blue, Southwest Airlines, United Air, and WestJet. Our local airlines have regularly scheduled flights which connect all the inhabited Islands. They also offer charter flights within the TCI and to the Bahamas, Jamaica, Puerto Rico, Dominican Republic, and Haiti. Upon arrival at the Providenciales International Airport, please look for your FREE copy of the “Where When How - Turks & Caicos Islands” print magazine and other information at the Tourist Board Information desk. It’s easy to get around on the Turks and Caicos Islands. Anyone, over 18 years old, holding a valid driving license from home can rent a scooter. Depending on the rental agency, you must be 25 in order to rent an automobile. 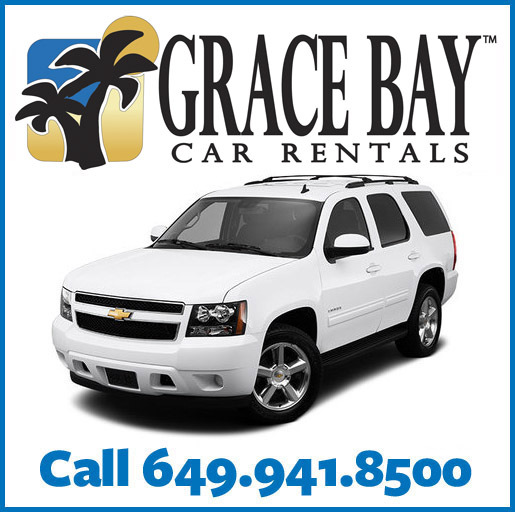 Various car rental agencies offer from 4-wheel drive jeeps to luxury automobiles. Rental insurance is advised. There is a $15 government tax on each rental contract. 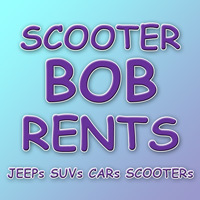 View our LIST of Car and Scooter Rental Agencies here. Remember to drive on the LEFT, you’ll get the hang of it right away! Relax, we have no traffic lights, no traffic jams and no place to go in a hurry. The maximum speed is 40 MPH (64 kmh), 20 MPH (32 kmh) through the settlements. Radar is used to detect speeders and speeding tickets carry a hefty fine. Most of the main roads are paved. Leeward Highway has been completed as a dual carriageway with traffic circles (roundabouts) at main intersections. When approaching a traffic circle (roundabout) the driver on your right has the right of way. Many of our traffic circles are 2 lanes wide, so please remember to stay in your correct lane while going around, as well as using the appropriate lane for your intended direction (at a 4-way, 2 lane traffic circle use the outside lane if you intend to turn left or straight and use the inside lane if you intend to go straight or turn right). Using your vehicle's indicators can also help other drivers understand your intentions at traffic circles. Side roads and back roads are simply cut from the coral rock and can be bumpy. Drive carefully over potholes and rough road edges to avoid causing damage to your vehicle. Directions are easy, ask anyone or follow our island maps. Be cautious of people walking in the roads. Be careful at night, remember to dim your high beams (headlights) and don’t drink and drive! Seat belts save lives, so please wear yours. A seat belt law is enforced, the fine is high for each unbelted person. Passenger ferry service is now available between Providenciales, North Caicos and South Caicos. With multiple daily sailing times, it has never been easier to explore some of our other spectacular islands! Simplifly For reliable, comfort and the most convenient schedule make Caicos Express Airways your airline of choice. With Charter Services throughout the Caribbean and daily scheduled flights between Providenciales and Grand Turk and eight (8) weekly flights between Providenciales and Salt Cay (in season), it has never been easier to experience everything the Turks & Caicos has to offer. We provide personalized service so that you can sit back, relax and enjoy. Come and experience our Beech 1900 and Cessna 402C aircrafts. Caicos Express Airways service you can depend on... It’s that simple. interCaribbean Airways is a convenient gateway to visiting many of TCI's neighbouring tropical islands. Scheduled domestic flights to Grand Turk and South Caicos and international flights to Haiti, Dominican Republic, Cuba, Puerto Rico, Jamaica and beyond. To get the best deals book in advance. The TCI Ferries depart from Walkin Marina, at Heaving Down Rock several times a day to make the 30 minute trip to beautiful North Caicos. Their fast, dry and comfortable vessels make it simple for passengers to visit North Caicos and Middle Caicos. Plan a day trip or spend a few nights. TCI Ferry schedule (as of 07/18) between North Caicos and Providenciales. Call 649-946-5406 for reservations.